Art Advocado: Art Education Advocacy Blog: Art at Recess: Better than Nothing, or Dangerous Precedent? Art at Recess: Better than Nothing, or Dangerous Precedent? Do you remember recess when you were a kid? (I suppose if you're currently an elementary school teacher the memory might not be so distant.) 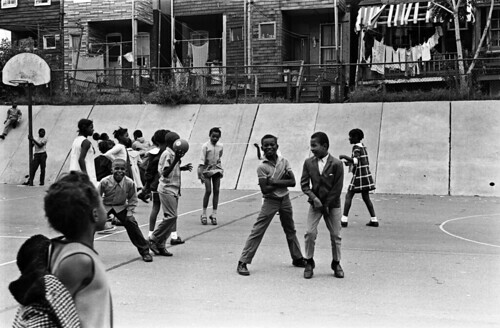 Though I've never been of the athletic persuasion I remember feeling as though recess was sacred - even if it was spent inside due to rain or bad weather. But according to this New York Times article, some NYC schools are squeezing "enrichment" subjects (i.e., the arts) and extracurricular activities into recess time in order to make the most of the school day. I am quite obviously a big fan of the arts, but I can't imagine I would have taken kindly to any proposal that diminished an already short and sweet recess time. (Of course, I went to elementary school in the '90s, before No Child Left Behind and the ubiquity of standardized testing. Perhaps kids today are more used to it?) So what does this mean for the arts? Read on to find out Art Advocado's take. First, let's look at the pros. Though it's unclear in the article whether recess arts time is the only arts education these students get in school, it is implied. So it's easy to think- better than nothing, right? And it's true. Some art education IS better than nothing. A recess art class or violin lesson could spark a passion that becomes a career in years to come- or at least give students an opportunity to use their brains in a different way and develop some critical thinking skills. And there are school districts where arts have been cut dramatically or totally for budgetary reasons, or for time constraints in the face of standardized tests. If recess arts are a value-added program - providing art education in schools where there previously was none - than such the better! Are the arts just "hobby-type stuff"? Although art during recess might certainly be better than the alternative of no art, it does present some problems. Before I launch into the downsides of art during recess, I will say that I realize my objections are somewhat philosophical and don't always address the realities of running an elementary school, balancing the demands of parents, school boards, and standardized tests. But I think they are still worth mentioning. One Manhattan parent describes the recess enrichment/club time at his first-grader's school as “hobby-type stuff geared toward introducing kids to different things.” Here's where I wonder if recess arts could potentially be detrimental to the cause of art education in the long run. The phrase "hobby-type stuff" sounds innocuous and is, I'm sure, not meant to demean. But it does put art education - which should be a part of every curriculum, if you ask me - in the same category of, say, the movie club, which no one would deem necessary for a comprehensive education. There's also a downside to having students opt-in. For every student that seeks out the arts there might be some that stumble upon it and fall in love with it. In an opt-in system, those students may be less likely to find their way. And if you're reading this blog I probably don't have to rehash the importance of arts education on critical thinking and problem solving skills (just in case- my past posts on the subject can be found here). Though reaching some students is better than nothing, many students will remain deprived of an opportunity to develop these skills that will serve them for the rest of their lives. My final issue is with the framing of the New York Times' story. The headline implies that the recess arts/recess enrichments trend is going on at some of the more successful schools in the city. Though it's unclear if the programs are value-added or if they are replacing larger art programs, what if another school district imitates this idea as a money-saving technique and does implement it to replace a more comprehensive art education program? Perhaps it's far fetched but stranger things have happened. I don't want to end on such a Debbie Downer note, and in the end I think any arts in schools is, as Martha Stewart would say, "a good thing." And the problems that art-at-recess programs seek to address aren't going away. Short of bigger reforms that gets more art teachers in the schools or adds more hours to the school day (or both), I don't have a better solution. Teachers (and students! ), what do you think? *On a programming note, from now on I will be posting closer to bi-weekly rather than every week (on account of that pesky day job). See you in two weeks for my last post of 2011!